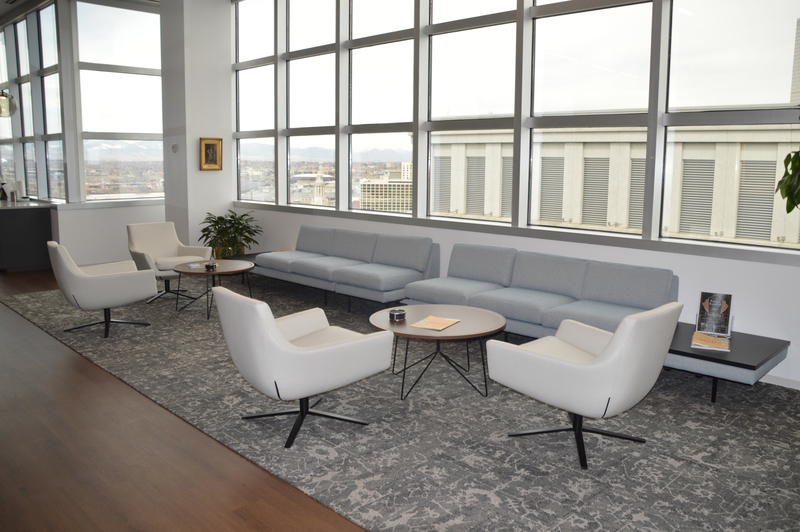 Before embarking on a move last year, The Colorado & Denver Bar Associations (C/DBA) office housed an eclectic mix of used furniture, including old desks built before the digital age and chairs that didn’t fit them well. After 30 years in the same space, the move presented the organization with a much-needed fresh start and an opportunity to reimagine their workplace. The CF team also helped C/DBA create the flexible, adaptable space they needed. As a member organization that frequently hosts events, C/DBA needs to host hundreds of people comfortably. That meant finding chairs that could be easily stored. Despite being told by other companies that such chairs didn’t exist, C/DBA was thrilled when the Contract Furnishings design team found chairs that not only nested and stacked but were comfortable. Another benefit of working with CF, Flaherty learned, is their emphasis on ergonomics. Originally an afterthought for C/DBA, ergonomics proved an important part of their new office environment. Experienced in ergonomic design, CF President Christopher K. M. Leach met with each employee to adjust their work stations. As a result, at least two employees who had complained of back pain no longer suffer.